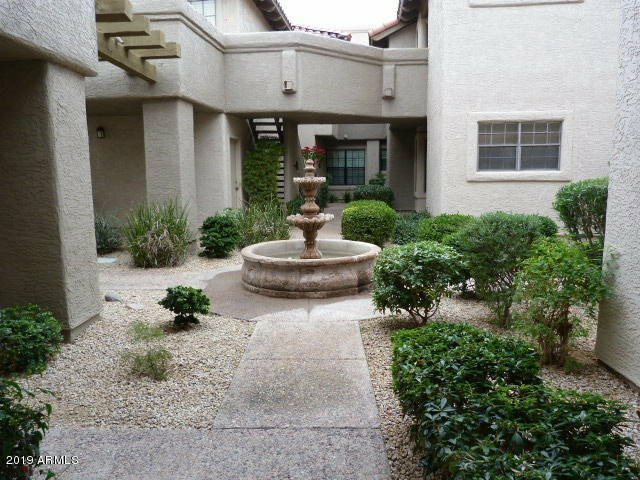 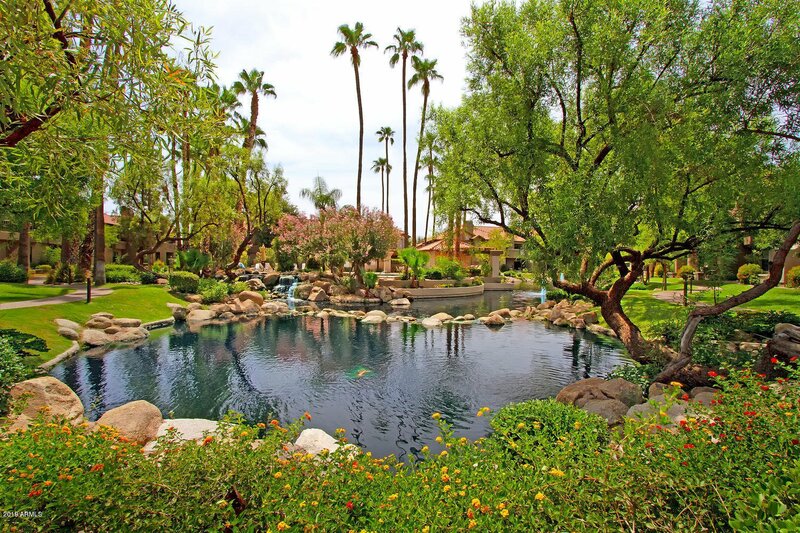 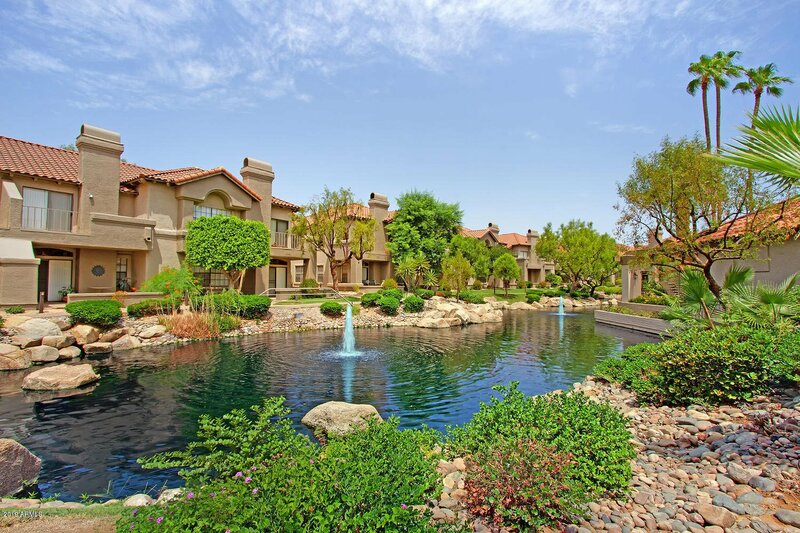 The sought after 'Fountains' complex at Scottsdale Ranch provides an ideal primary residence, vacation retreat or investment opportunity, just mins from shops and restaurants and freeway access. 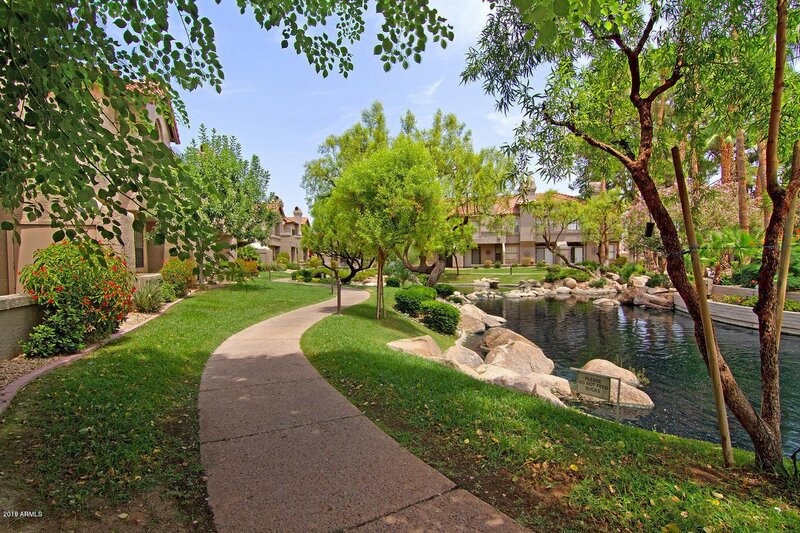 Enjoy all the community features of the Fountains including lush landscaping and community pool, spa, and lagoon area.. 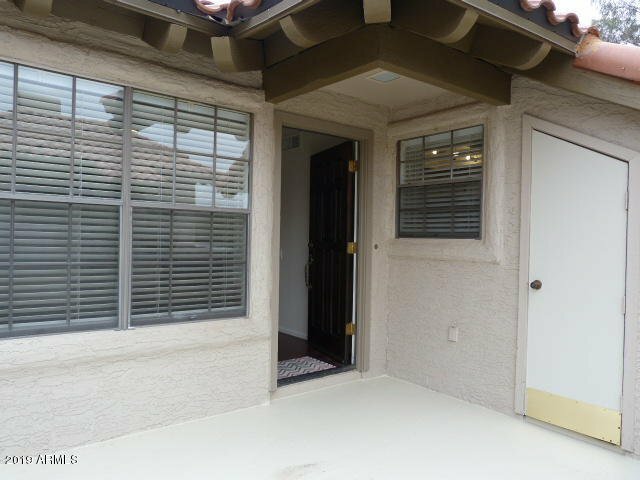 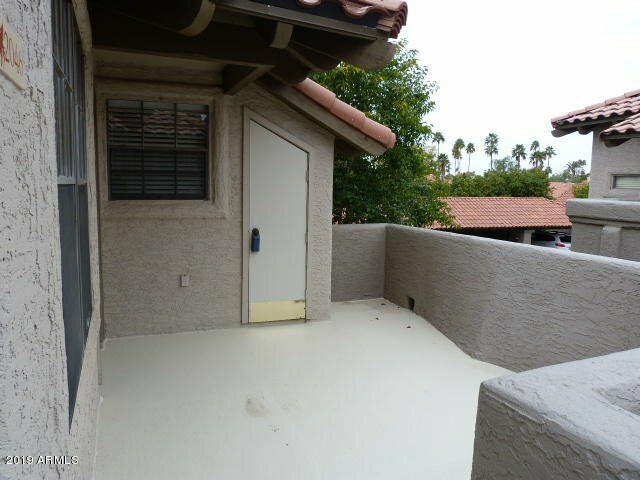 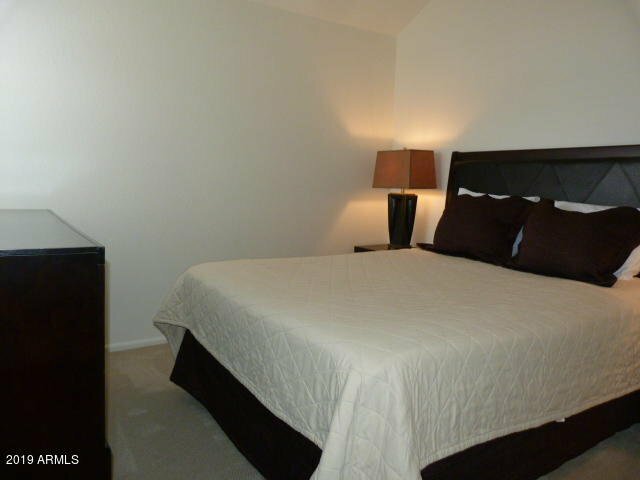 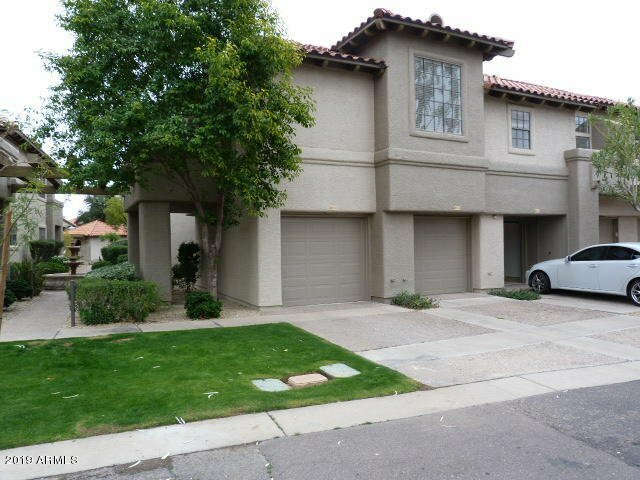 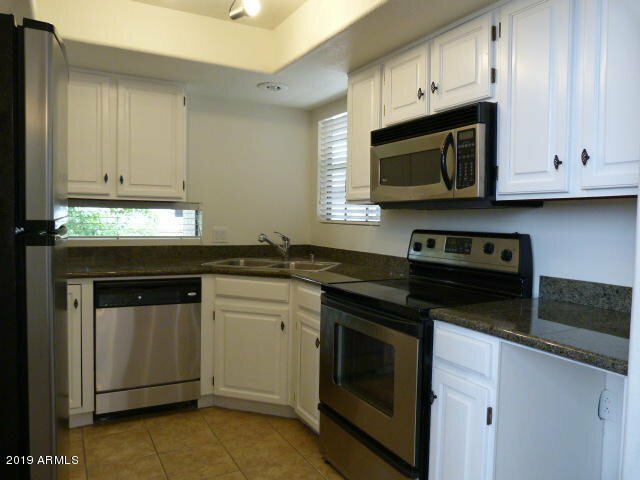 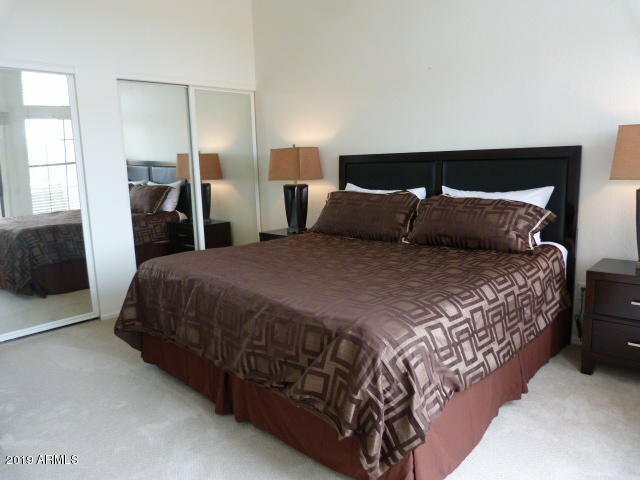 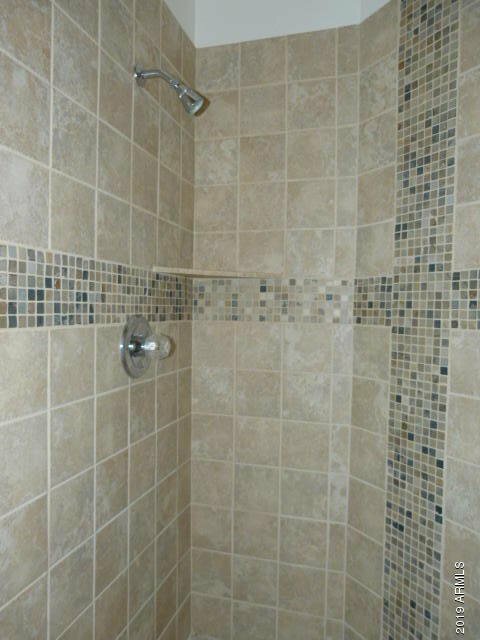 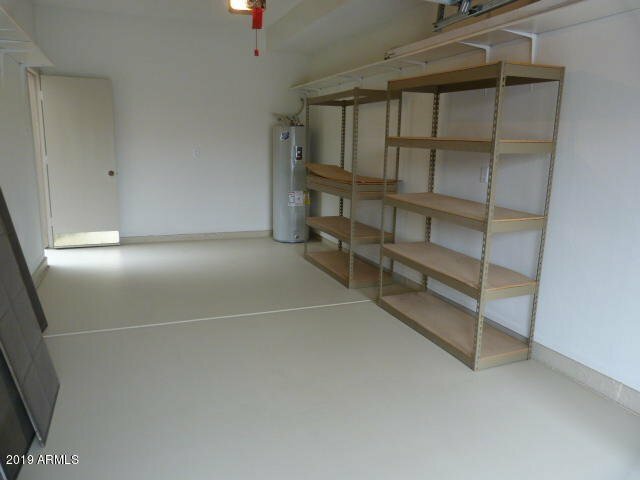 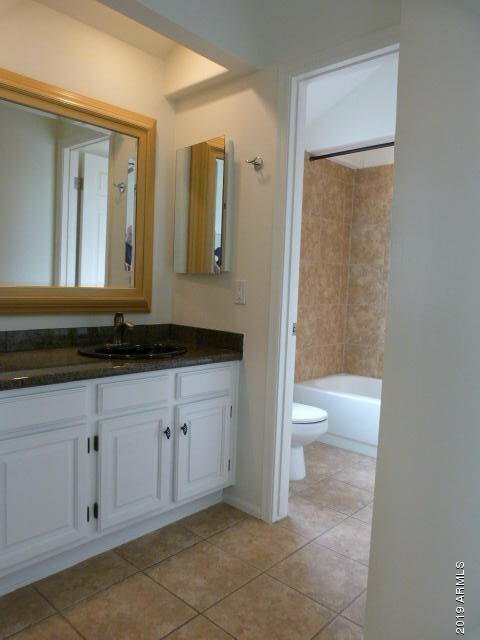 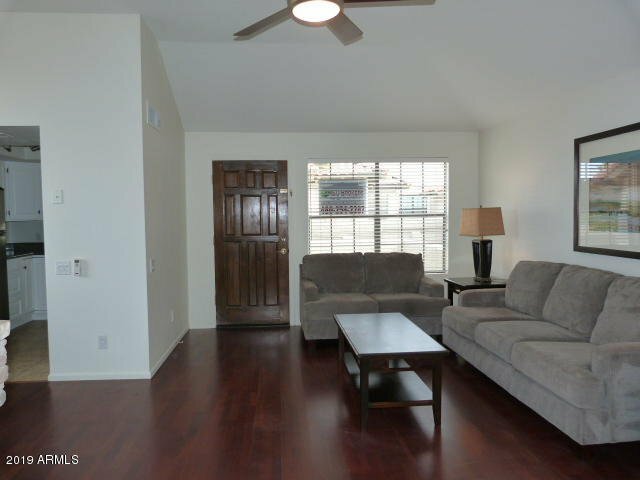 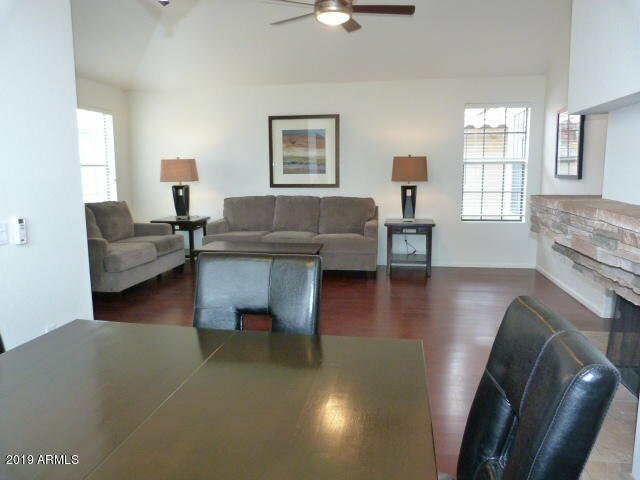 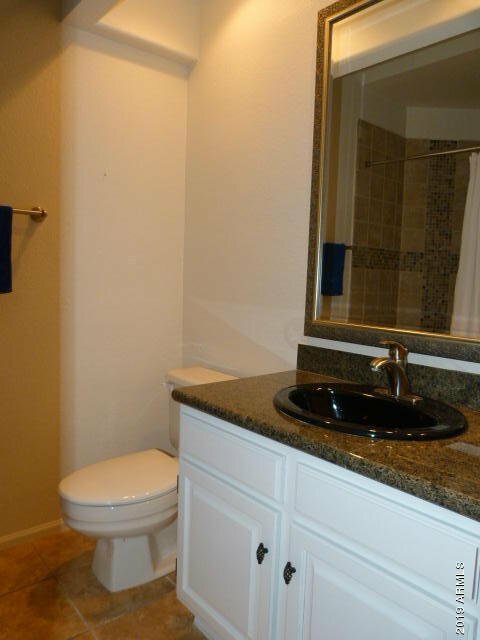 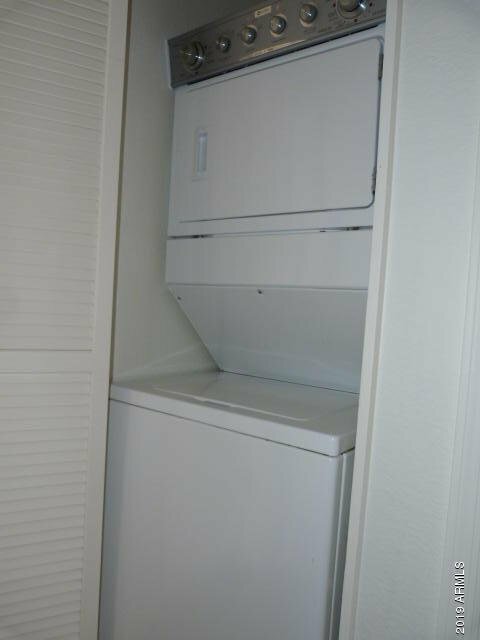 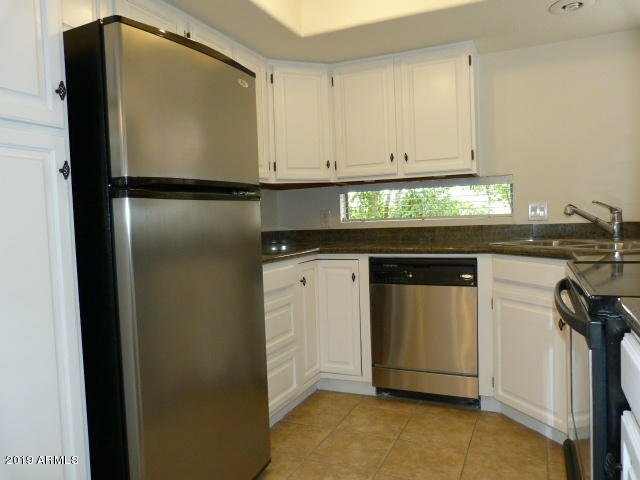 This well equipped unit has wood floors, fresh paint and carpet and ample natural light. 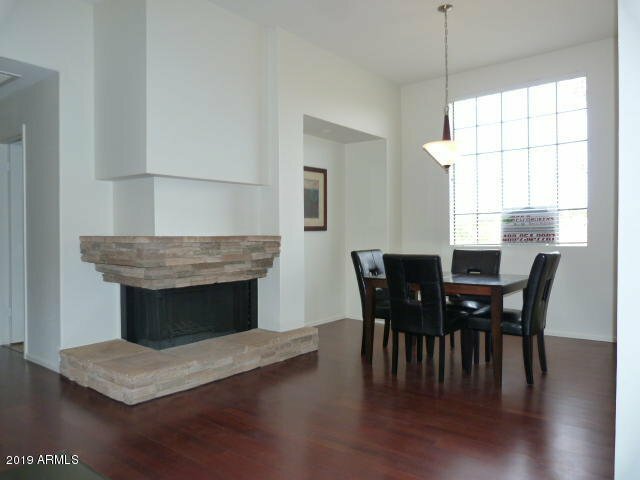 Granite counter tops, rock surround fire place, and high ceilings. 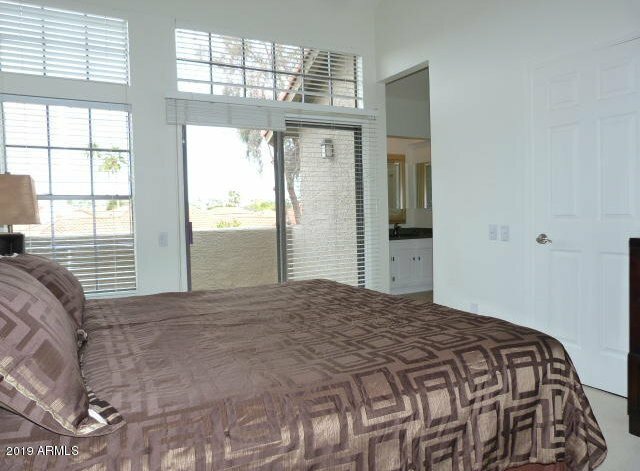 Balcony off the master suite. 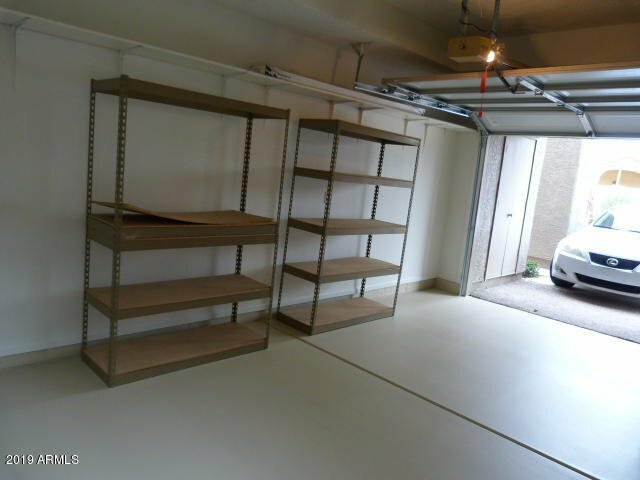 One car garage with opener.